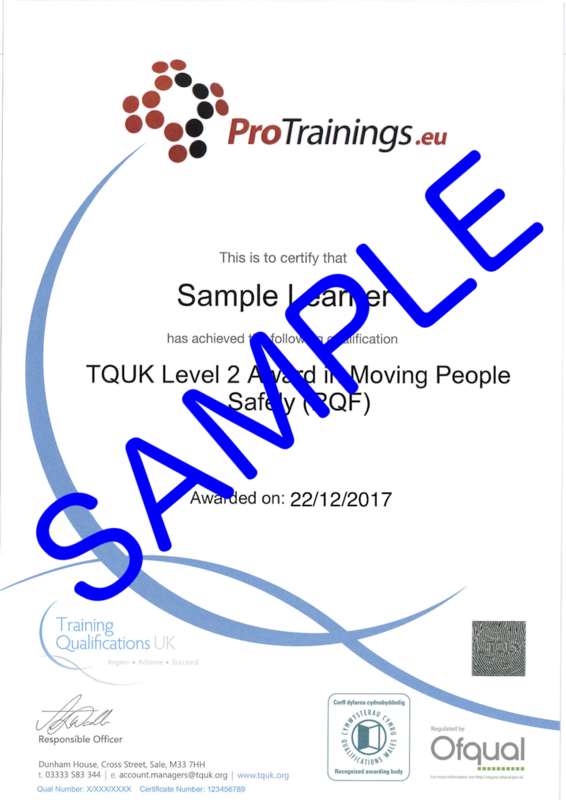 The TQUK Level 2 Award in Moving and People Safely (RQF) provides learners with the opportunity to develop skills, knowledge and understanding to enable them to apply safe manual handling principles. This qualification is intended for learners wanting to undertake training or to further develop their knowledge and/or skills in this subject area. Entry requirements There are no specific entry requirements however learners should have a minimum of Level 1 in literacy or numeracy or equivalent. Learners must be at least 16 years of age at certification. The minimum age for this qualification is 16 years old. This course comes with 20.0 hours of CPD, although the time to complete the course online may be less than this.